We do both crowns & bridges at our office in Midland, ON and want to help you achieve your best smile. Crowns & bridges are two of the cosmetic dentistry solutions we provide at Georgian Shores Dental Centre. 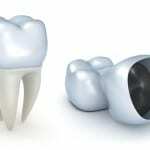 Both crowns and bridges are beneficial cosmetic options because, unlike dentures, they are a fixed solution. Although we offer both crowns & bridges at our office in Midland, Ontario, we realize that there are some situations in which a crown will work best, while a bridge might work better in another situation. When you come in to our office, we will determine whether a crown or a bridge will work best for your personal situation. If you are interested in finding out more about crowns & bridges and if you are a good candidate for either of these cosmetic solutions, reach out to us at Georgian Shores Dental Centre today. 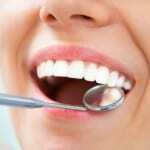 As your dental provider, we are committed to helping you achieve your best smile. At Georgian Shores Dental Center, we offer crowns & bridges at our Midland and Collingwood dental clinics for residents of Collingwood, Creemore, Midland, Nottawa, Penetanguishene, Perkinsfield, Port McNicoll, Stayner, Thornbury, Victoria Harbour, Wasaga Beach, and Wyevale, Ontario.